At long last my bits are finished. 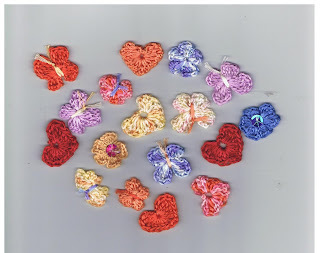 Lots of little crocheted hearts, butterflies and a few flowers in between. Am going to do some on some clips and headbands, can't wait to have a go!